• Any information that relates to you, that you provide to us directly through our website, email, written letters, and phone conversations. • Medical professionals (such as general practitioners, allied health professionals, specialists etc). • To disclose to others involved in your health care, including health care providers outside Whyte Orthodontics. While Whyte Orthodontics hope that we will be able to resolve any complaint you may have without needing to involve third parties, you may also wish to lodge a complaint with a relevant regulator such as the Australian Information Commissioner (www.oaic.gov.au). Indirect bonding helps make treatment easier. We have expertise in this new era of braces technology. Invisalign was created in 1999 and is an exciting, innovative method of straightening teeth, using breakthrough technologies that create beautiful smiles without bands, brackets or wires. Using 3D imaging your treatment is planned and results will be seen even before you commence treatment. Invisalign is virtually invisible and provides patients with an aesthetic alternative to braces. 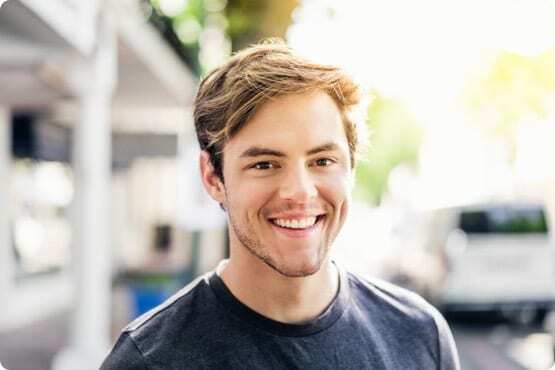 Not all problems can be fixed with Invisalign and an appointment with Dr Whyte at any of our convenient locations in Brisbane, Thornlands, Biloela or Moranbah will answer your questions. We are well established Queensland orthodontists led by Dr Michael Whyte. We provide you with outstanding results at an affordable price. The benefits of straight teeth are far reaching. Perfectly aligned teeth can improve your bite and overall dental health and can enhance your self-esteem. This is important for children and adults – we all deserve to feel healthy and confident! We have highly skilled orthodontists working in five locations across Brisbane and central Queensland: Red Hill, Coorparoo, Thornlands, Moranbah and Biloela. We’re ready to help you improve your confidence with straight teeth and a happier smile. We have 5 convenient locations including our flagship practice at Red Hill, as well as Coorparoo, Thornlands, Moranbah and Biloela.